Donkey Kong has captured Jumpman’s current flame, Pauline, and Jumpman will go to great heights to rescue his beloved. Of course Donkey Kong isn’t a pushover. Jumpman has to avoid obstacles and enemies in four tough stages. 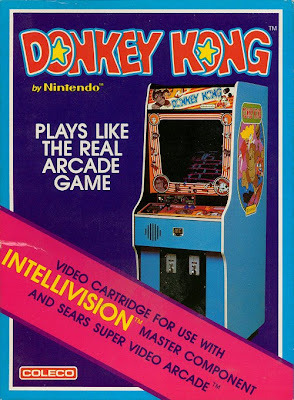 Released in 1982 for the Intellivision, Donkey Kong was published by Coleco. A modern-day equivalent would be Microsoft publishing games for the PlayStation 3. The 80s were a weird time indeed! John: I’ve heard rumors that Coleco made this game inferior to sabotage the rival to their Colecovision, and after playing this version, I can see why those rumors began circulating. This was a poor rendition of the arcade game, but it was playable enough to get the idea. The graphics were passable, as were the sounds, but the gameplay was poor. Jeff: I did not like this game at all and ended up stopping after my first three lives were spent. Easily the worst game I’ve played on this ancient system. 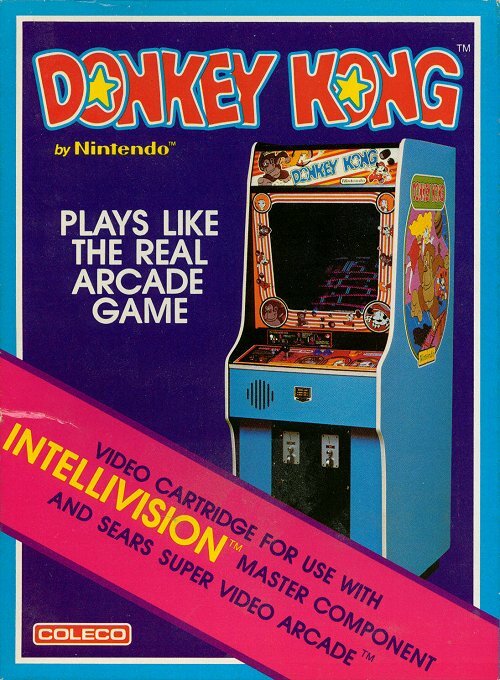 Glad Nintendo didn’t take Donkey Kong out back to shoot after this poor version was released.